Donation of Sunday School Cards for students. Promise of more cards later. No date shown. 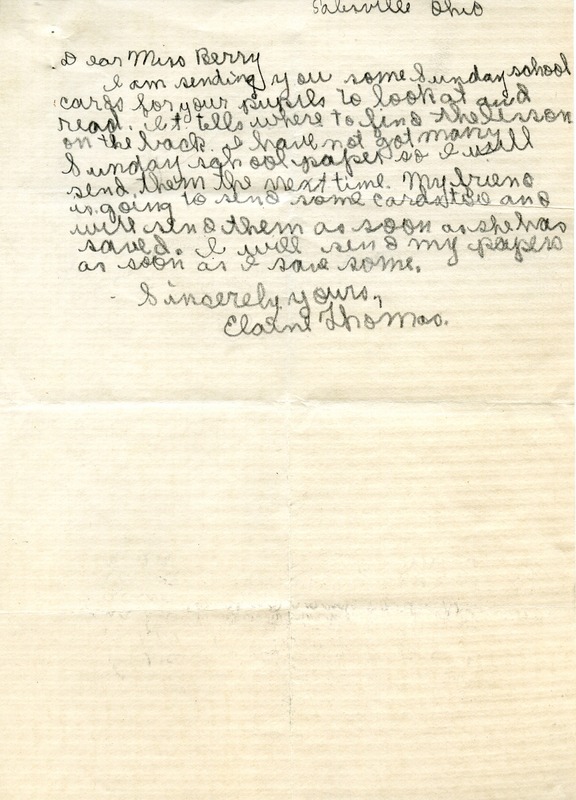 Elaine Thomas, “Letter to Martha Berry from Elaine Thomas.” Martha Berry Digital Archive. Eds. Schlitz, Stephanie A., Chelsea Risley, et al. Mount Berry: Berry College, 2013. accessed April 22, 2019, https://mbda.berry.edu/items/show/11138.